We all have that voice inside of us – the voice of criticism and judgment, the worry about not being good enough. When this “Inner Critic” is too loud or we pay too much attention to it, our self-esteem suffers, we feel anxious about whether we are doing things well enough, or we don’t attempt a new challenge because we assume failure. Whether you call that voice the Inner Critic or negative self-talk, if you are a therapist you are familiar with the need to help our clients tame that inner voice of judgment and fear. There are different variations in how therapists approach this – mindfulness builds acceptance and nonjudgmental awareness, cognitive behavior therapy teaches thought stopping and challenging automatic thoughts, narrative approaches emphasize externalizing and fighting back. 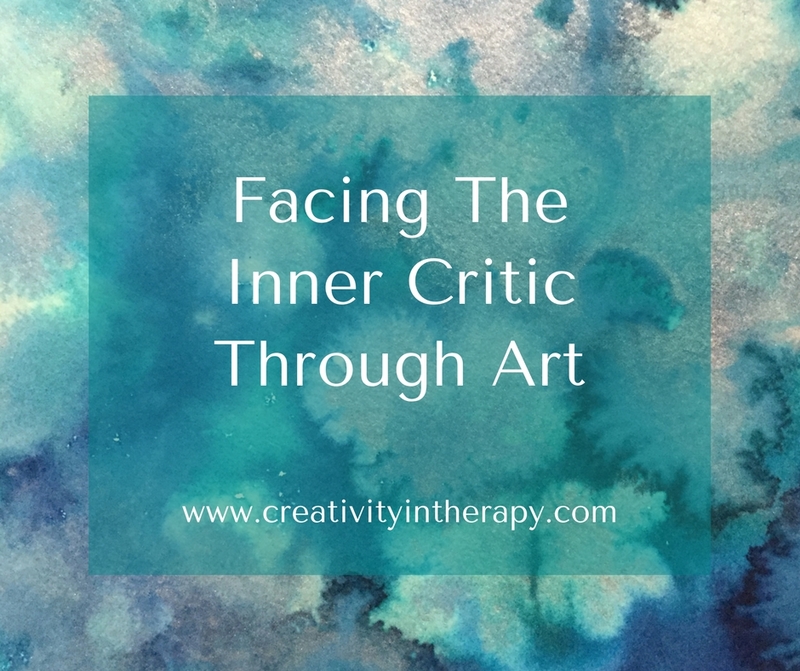 Art-based approaches are a great way to work on taming the Inner Critic in therapy. 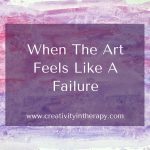 You can use art to help your clients recognize the messages they get from their Inner Critic, personify and externalize the Inner Critic, and practice acting with a mindset of acceptance and self-compassion. Journaling – Have clients write about their beliefs, automatic thoughts, and the connected past experiences. 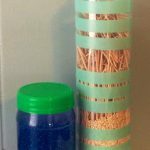 It can be helpful for clients to put these things into words and see how it all connects together. If the focus is on how the Inner Critic comes up during creative expression, the journaling could be focused on this. However, the focus could also be on whatever area of the client’s life the Inner Critic is causing the most problems in. Sometime the Inner Critic is repeating messages that the client heard from other people, sometimes it’s based on negative past experiences, and sometimes it’s a way to protect oneself from possible failure. 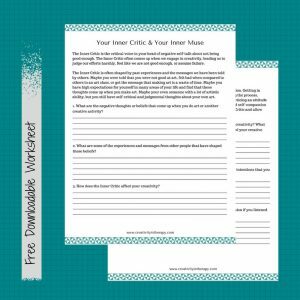 I created a free downloadable worksheet for you to use with client to explore the Inner Critic, the Inner Muse, and creativity. Click here and enter your email address to get a PDF copy: Your Inner Critic & Inner Muse. Observe self-talk during art-making – Give the client an art directive or an open-ended instruction to make whatever art they choose and ask them to mindfully observe their inner voice as they work on the art piece. If they need some help in doing this, you may want to periodically ask the client to pause and notice what they are feeling in their body, what emotion they are having, and what their thoughts have been. 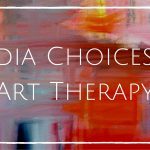 Practice acceptance, non-judgment, and self-compassion in the art process – After talking with clients about these concepts, have them write down examples of these thoughts that they want to practice during art. For example, “I can enjoy art without it being perfect. Everyone can be creative. Whatever I put on the page is good enough. Have fun and don’t worry about the final product.” They can then practice this mindset while doing art in therapy. 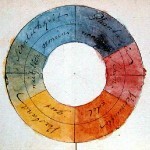 Some people refer to the inner voice of creativity and free expression as the Inner Muse. The Inner Critic is always going to be with us, but we don’t have to let it control our lives. 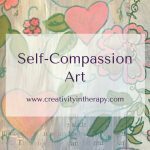 Through talk, journaling, and art, clients can learn to recognize the voice of their Inner Critic, listen to and learn from all parts of the self, and then approach their life with more acceptance, non-judgment, and self-compassion. Want more tools for facing the Inner Critic and listening to the Inner Muse? Be sure to click on the image below (or the link here) to download the free worksheet. I work with maximum security male offenders with severe mental illnesses. 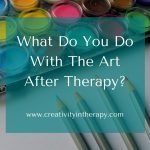 I am often looking for ways to utilize my artistic gifts with them without crossing the line into therapy since I am not an Art Therapist. I often adapt exercises like yours to start open discussion. There is occasionally resistance to participate and I wondered if you had any suggestions to encourage participation from those who are not invested. Hi David, that’s a great question. 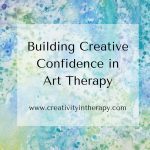 A few things that have helped me with resistant groups are to explain the rationale for the activity (i.e., explain why creativity is important, share a tidbit of research about the positive impacts of making art, and explain what this specific activity is meant to help with), remind everyone that they don’t have to be good at art and to focus on the process, and to allow people to opt out if they need to. I never try to force anyone to participate. Some people can be encouraged to choose a coloring page and work on that instead of the art activity. Others may choose to sit and watch; maybe next time they will feel more comfortable and be willing to join in. The example of other group members and encouragement from them often seems to be more powerful to engage hesitant people than anything that I have to say. I am unable to access the worksheets that are linked above. I work for a school district and shortened URL addresses are blocked. Is there another way to access the worksheets? Feel free to email me and I can send you the PDFs. Music and Art are both critical to mental health! So many times the Antepartum women tell me how much knitting has helped them pass the hours of the day. And music also has a special way of connecting and soothing one’s stress.